NEW YORK (CBS) Americans love their caffeine. Whether it's in a cup of Joe, a can of Coke or a chocolate candy bar, we are consuming about 280 mg of caffeine per day; that's equal to about two large cups of coffee a day. Caffeine is a drug that stimulates the central nervous system. It is absorbed and distributed very quickly into the body; it passes directly into the brain. It is excreted in the urine many hours after it has been consumed. Caffeine increases dopamine production, a chemical which improves feelings of well being. This increased dopamine explains the mood enhancing effects of caffeine and its addictive properties as well. Caffeine's main draw may be its pick-me-up potential but there are several studies exploring other benefits too. 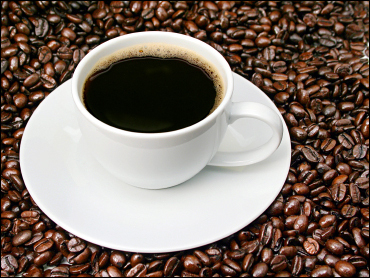 Strong evidence suggests that caffeine reduces the risk of Parkinson's disease and type 2-diabetes. A French study showed a slower decline in cognitive abilities among women who consumed caffeine. In small amounts, caffeine can relieve migraines and can enhance the pain-reducing effects of aspirin or other pain killers. Caffeine is also thought to benefit allergy and asthma sufferers. On the flip side, caffeine has been linked to adverse effects on your body too. It can inhibit absorption of iron and calcium and has a diuretic effect which may lead to fluid loss. Blood vessels constrict when caffeine is present which can cause poor circulation. Diabetics are often cautioned to avoid caffeine because it leads to an increase in blood sugar. For most the most part though, moderate caffeine consumption poses no real risk. Extreme caffeine use however - between four and seven cups a day - can be problematic. That much caffeine can cause restlessness and irritability. It may bring on nausea, gastrointestinal problems, irregular heartbeats or muscle tremors. If you're concerned about the side effects of caffeine and looking to quit, use a 2-week weaning program. By slowly reducing the amount of caffeine you consume daily, you can avoid the dreaded withdrawal headaches. If you find you need a replacement to get your motor running, this doctor prescribes a dose of exercise for a healthy jolt of energy.